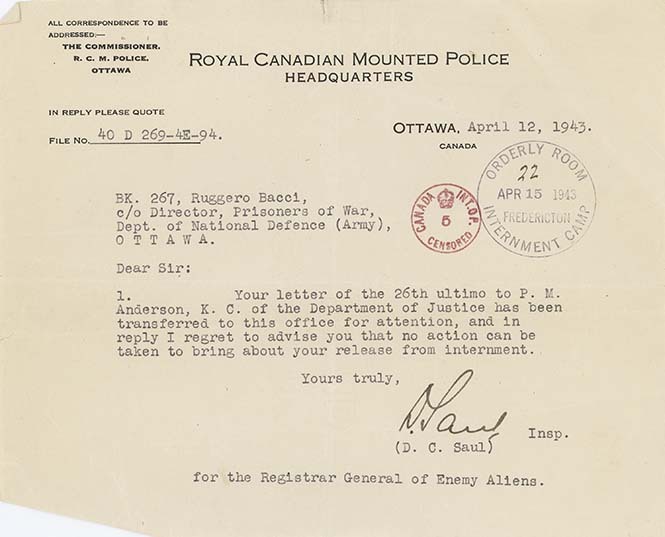 This typewritten letter from D.C. Saul, RCMP Inspector for the Registrar General of Enemy Aliens, was sent to Ruggero Bacci, on April 12, 1943. In the letter, the inspector claims that "no action can be taken to bring about your release". However, Bacci was released 43 days later. It is unclear what transpired -- although, Mussolini was on the verge of loosing power and the war.